Americans of all ages are spending more time and money improving their smiles through orthodontics. Some experts attribute our recent attention to orthodontics to more aesthetic, less noticeable treatment options made possible by cutting-­edge technology. One of the most popular – and most high-­tech – of these innovations is Invisalign. Invisalign is a method of straightening teeth using a series of clear, almost invisible, removable aligners. Invisalign combines the doctor’s clinical treatment plan with proprietary 3D, computer-­generated software to make these sets of unique, custom-­made Aligners that move teeth in very precise increments. Getting your teeth straightened isn’t something just for teenagers anymore. Many adults just like you who have felt uncomfortable with their smiles now have straight, healthy teeth. You can, too! 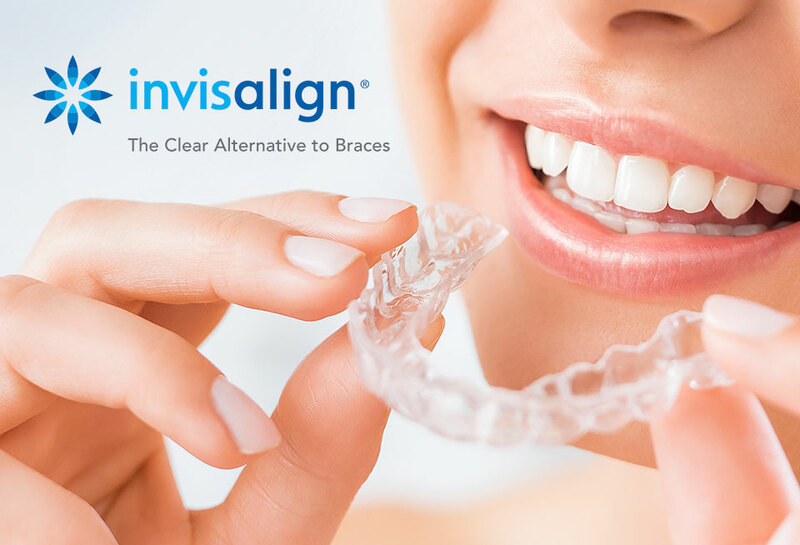 If you weren’t able to get your teeth straightened when you were younger, now is the time to find out more about Invisalign–the clear alternative to metal braces and wires. Treatment with Invisalign is quick and easy. With Invisalign, you don’t wear metal braces. Instead, your teeth are straightened by wearing a series of clear plastic aligners. The aligners are so inconspicuous that most people won’t be able to tell you’re wearing them. You’ll wear each set of clear aligners for about two weeks at a time, while your teeth move little by little toward the smile you’ve always wanted. The aligners are worn all the time, except when you’re eating, drinking anything but water, brushing, and flossing. Because the aligners are removable, you can eat all your favorite foods. We can’t tell you exactly how long your treatment will take. But, on average, Invisalign treatment takes about one year. The cost of treatment is similar in cost to traditional braces. Dr. Blaine Langberg also offers a variety of affordable payment plans. Our office will be happy to work with you on all of the financial details. But Invisalign isn’t the only innovation in dental and orthodontic practices today. Offices like ours are using digital photography and radiology, chair-­side computers and Internet access, and a host of technology-­based products to educate patients and engage them in the treatment process.